Software developers rely on support from a variety of resources—including other developers—but the coordination cost of finding another developer with relevant experience, explaining the context of the problem, composing a specific help request, and providing access to relevant code is prohibitively high for all but the largest of tasks. 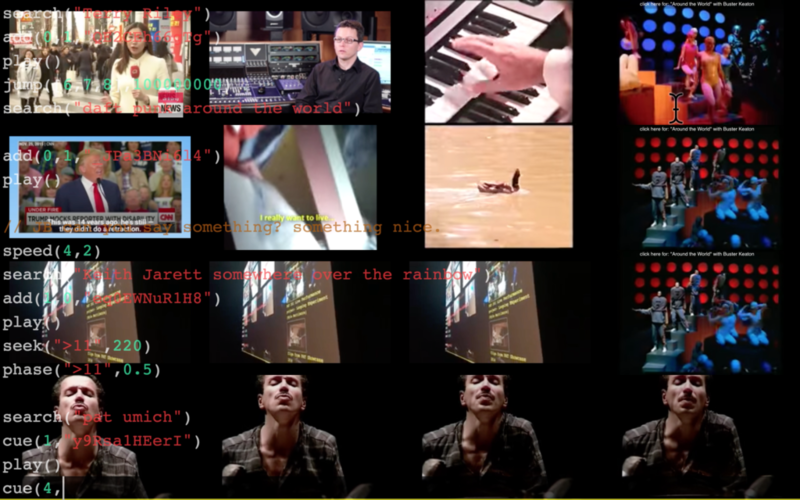 Existing technologies for synchronous communication (e.g. 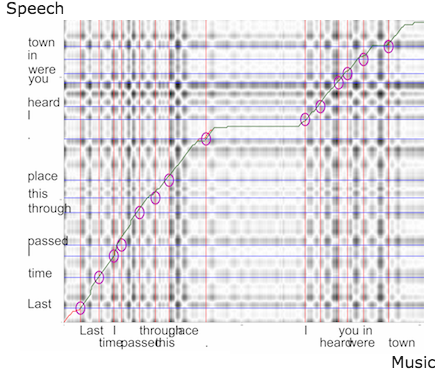 voice chat) have high scheduling costs, and asynchronous communication tools (e.g. forums) require developers to carefully describe their code context to yield useful responses. This project introduces Codeon, a system that enables more effective task hand-off between end-user developers and remote helpers by allowing asynchronous responses to on-demand requests. 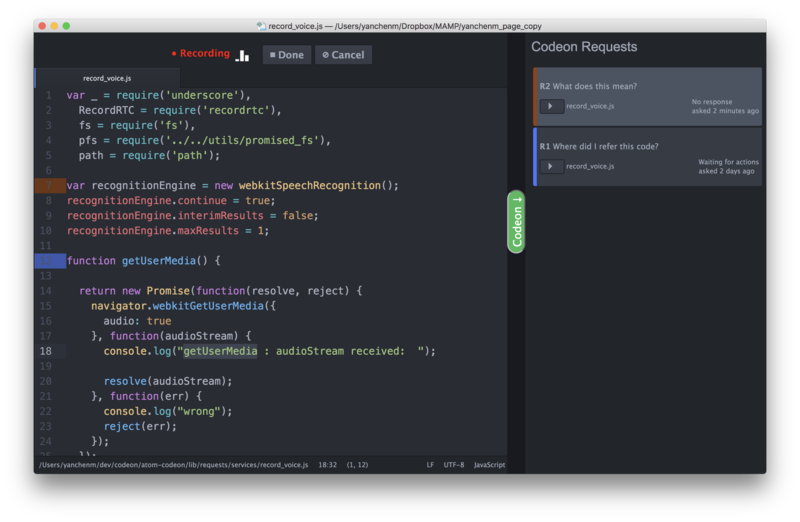 With Codeon, developers can request help by speaking their requests aloud within the context of their IDE. Codeon automatically captures the relevant code context and allows remote helpers to respond with high-level descriptions, code annotations, code snippets, and natural language explanations. 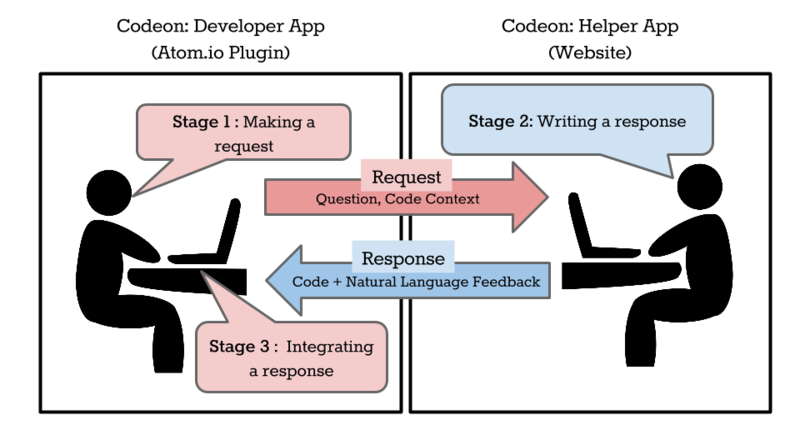 Developers can then immediately view and integrate these responses into their code. In our evaluation, developers using Codeon completed nearly twice as many tasks as those who used state-of-the-art synchronous video and code sharing tools, by reducing the coordination costs of seeking assistance from other developers. Codeon: On-Demand Software Development Assistance. (paper) Chen, Y., Lee, S. W., Xie, Y., Yang, Y., Lasecki, W., Oney, S In Proceedings of the 2017 CHI Conference on Human Factors in Computing Systems (CHI) Denver, Colorado, USA, 2017.